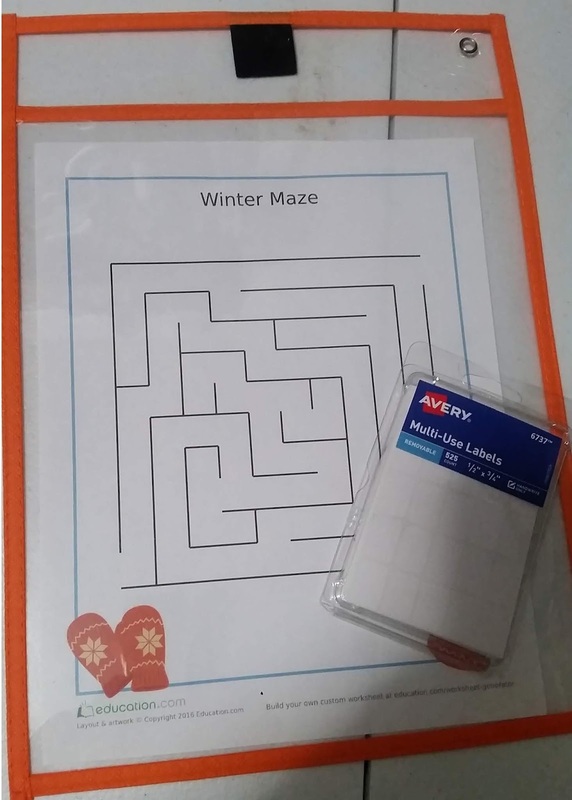 Cozy up this winter with a fun winter maze! Be sure to check out Education.com for more fun educational activities. I've had so much fun looking around their website. My kids love the online games and I'm excited about the lesson plan section. There are so many useful and educational ideas and downloads on this site for preschool through 5th grade. Education.com has kindly offered my readers this fun winter maze that you can download free at the end of this post. My kids love mazes and I love that it goes perfect with our winter theme and one of our favorite books "The Mitten." I like to place my worksheets in to these dry erase pockets (sheet protector or laminate works well too) so we can use them over and over. 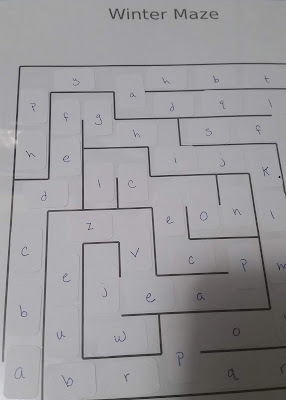 add stickers and write letters on each one. 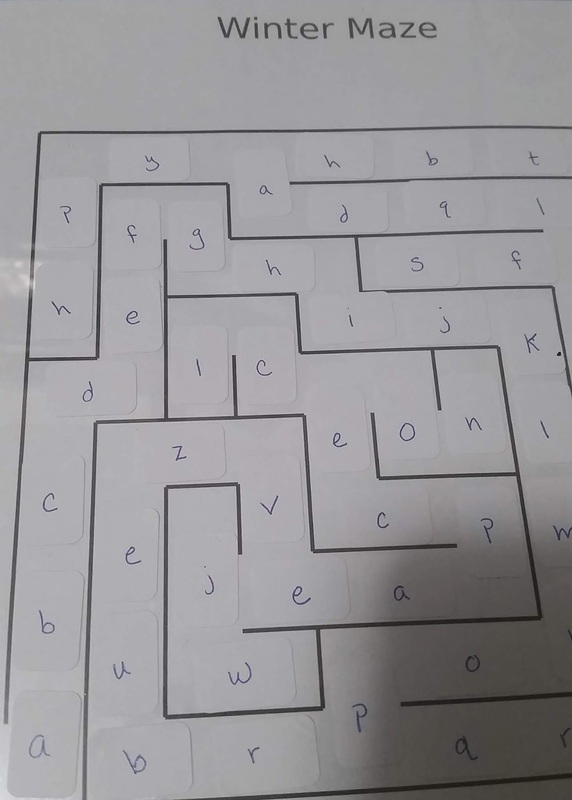 Follow the alphabet to reach the end of the maze. You can use also use numbers, or any skill you are working on. I placed the stickers on top of the dry erase pocket. 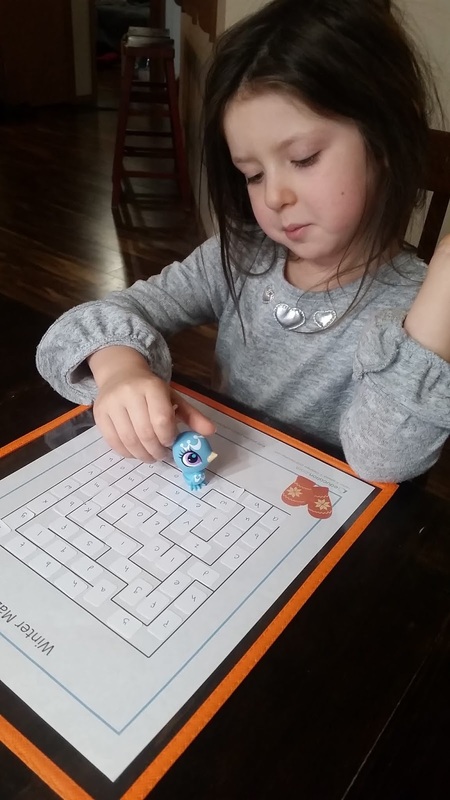 We used a little toy figure to hop to each correct letter. 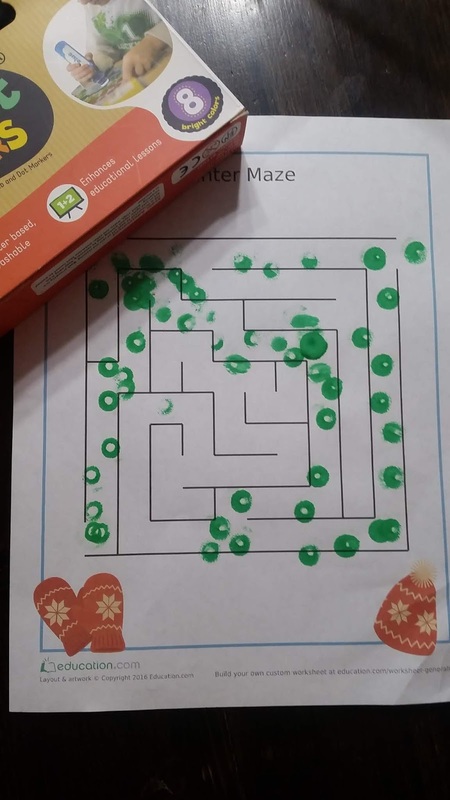 You can also drive a car through the maze. 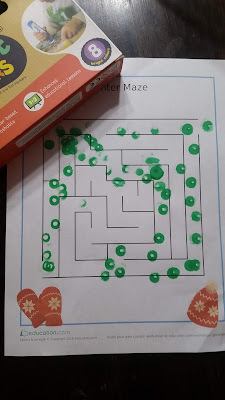 Use dot markers to find the way through the maze-not reusable but fun! 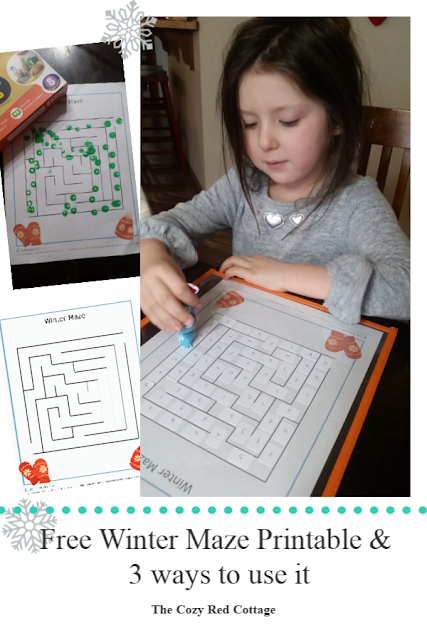 Want to make it more challenging have your child create a pattern with the dot markers. 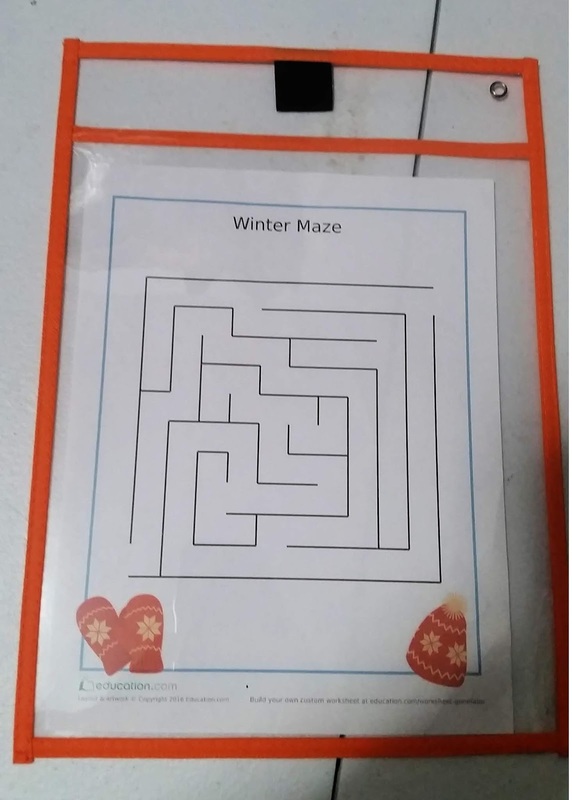 You can download a copy of the winter maze here.